Nine students have been charged for allegedly beating up a PhD scholar from the Indian Institute of Technology (IIT) - Madras, for organising a 'Beef Fest' in the campus. The charges under which the accused have been booked are: IPC 147- Punishment for rioting, 341-Punishment for wrongful restraint, 323- Punishment for voluntarily causing hurt and 506(1) - criminal intimidation. However, the victim R. Sooraj has also been booked under two Sections - IPC 324 - Voluntarily causing hurt, 341-wrongful restraints, according to accused Manish Kumar's complaint. Yesterday, Kerala Chief Minister Pinarayi Vijayan condemned the attack on the students and requested his Tamil Nadu counterpart Edappadi K. Palaniswami to take necessary action. 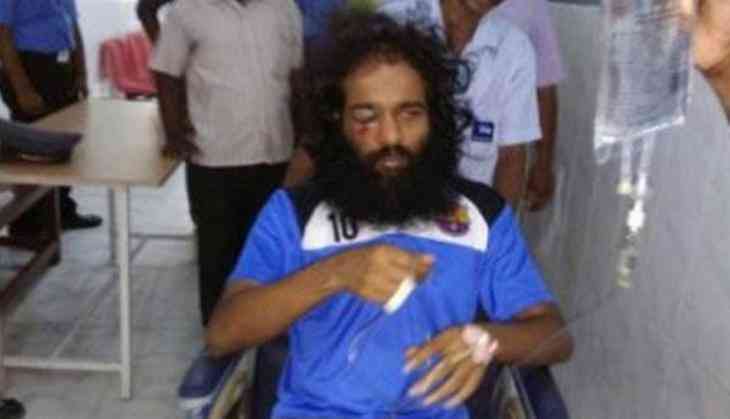 Sooraj was beaten up for conducting ' Beef Fest' in IIT. He has been seriously injured in his right eye. A group of 70 to 80 students held the beef festival on Sunday evening to demonstrate against the Centre's notification. Earlier this week, expressing strong disapproval of the Centre's move, Kerala Chief Minister Pinarayi Vijayan had sent a letter to Prime Minister Narendra Modi, by attacking the BJP-led government at the Centre and the RSS, saying there was no need for the people of his state to draw lessons from New Delhi or Nagpur on their food habits.